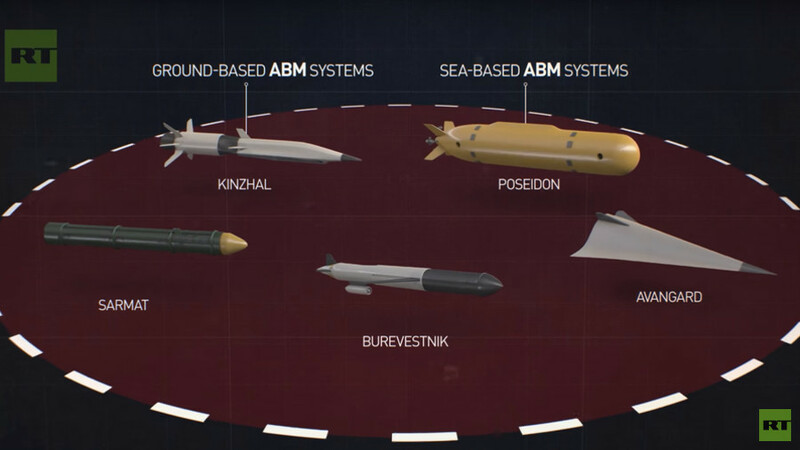 Poseidon represents a completely new category of underwater weapons that will significantly alter the mission priorities of the US and British nuclear submarine forces. Although there are snippets of reliable source material on the weapon, it has an air of super-weapon mystery similar to Soviet weapon developments of the Cold War. Consequently, much of the information and analysis in the press, both Russian and Western, is highly speculative, misinformed and nonsensical. Defense bloggers ma have fallen into the trap of amplifying some of this and lending it misplaced credibility. This article seeks to step back from the mess and provide a reasoned understanding of what Poseidon is and is not. The US Department of Defense (DoD) is under no illusion that Poseidon is a real thing. In February 2018 it released a Nuclear Posture review citing the ‘Status-6 AUV’ (the then-current open source term for the system) as having been tested, listing it as a nuclear delivery system, in the same way that some ballistic missiles and cruise missiles are. Another thing to appreciate is that Poseidon is not a new project. It started about twenty years ago and was being discussed in niche communities in both Russia and the West long before it gained wider attention. 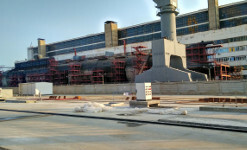 Of all the indicators, the construction of the specific test submarine Sarov was the easiest to grasp: why would Russia go to the expense of building a massive non-combatant submarine with a ~24-meter-long forward-facing hangar if it wasn’t to test a massive torpedo? This was started at a time when Russian submarine investment was at a low point; when new attack submarines or ballistic missile submarines would have been a more obvious priority. Sarov’s existence and role was discussed among defense observers from around 2007 when she was launched. Although her role in Poseidon is easier to appreciate with the power of hindsight, even then new and very large torpedoes were the leading hypothesis as to what she was to test. 1. 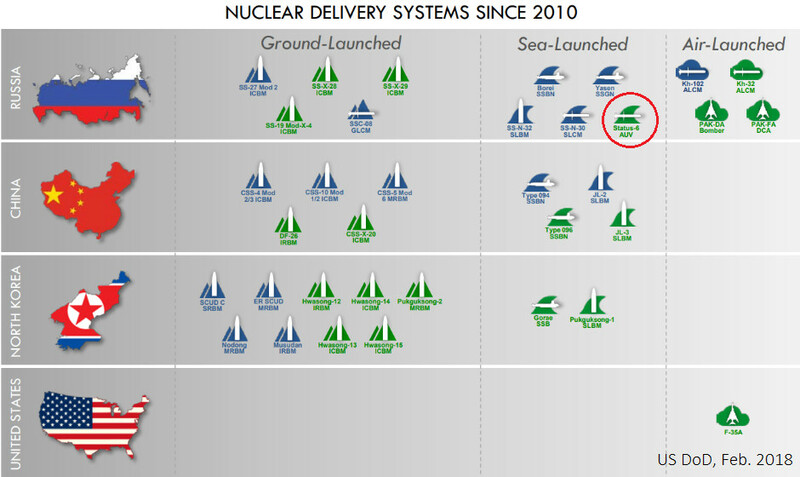 US DoD table from February 2018 Nuclear Posture review, showing "Status-6 AUV" as a nuclear delivery platform. 2. 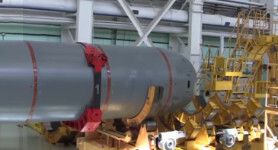 Part of Russian MoD video of Poseidon prototype, July 2018. 3. The infamous 'Status-6' leak, November 2015. Links to more details on the OSINT timeline and Sarov submarine. 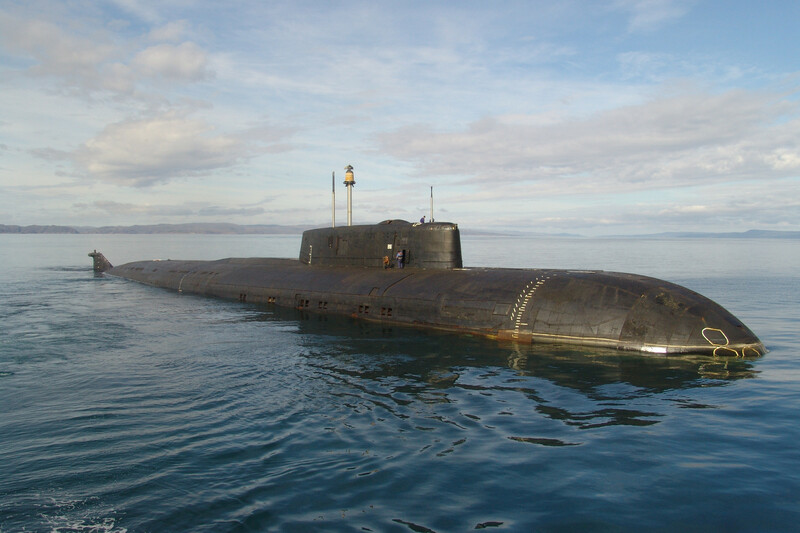 Building and maintaining submarines is an incredibly expensive undertaking, so the Sarov detracts from the Russian Navy’s more immediate submarine fleet operations and modernization coffers. 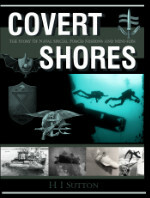 What is more, Sarov was not the only submarine project being watched. 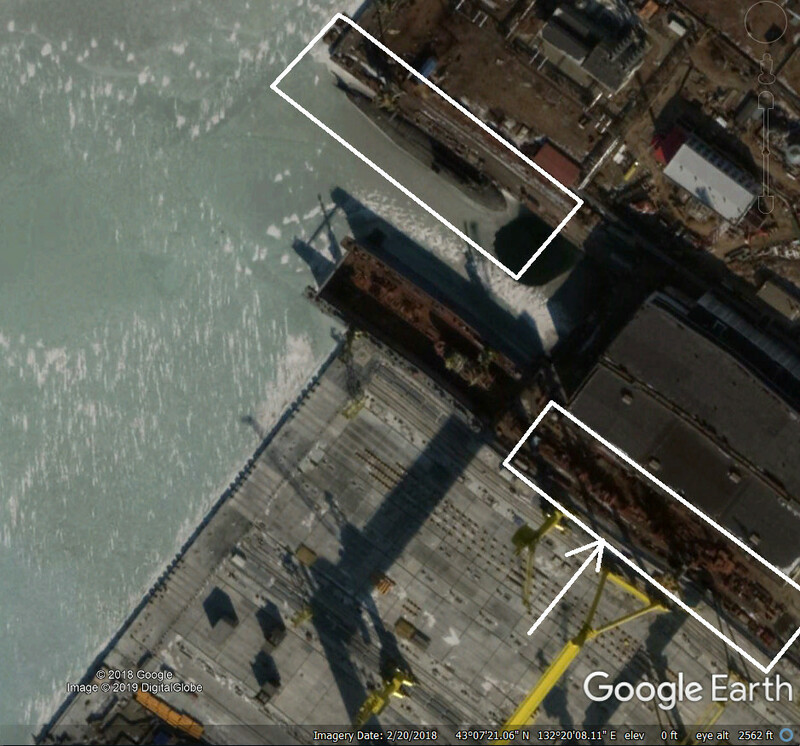 The Pr.09851 class submarine Khabarovsk was laid down in 2014 and only makes sense as a carrier for Poseidon. 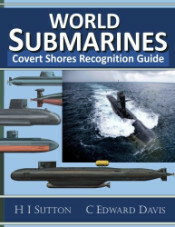 It is separate from the better-reported new-generation ballistic missile submarine, cruise missile submarine and attack submarine programs (Borei-A, Yasen-A and Husky respectively) and its project number is also not in sequence for a SSBN, SSGN or SSN. 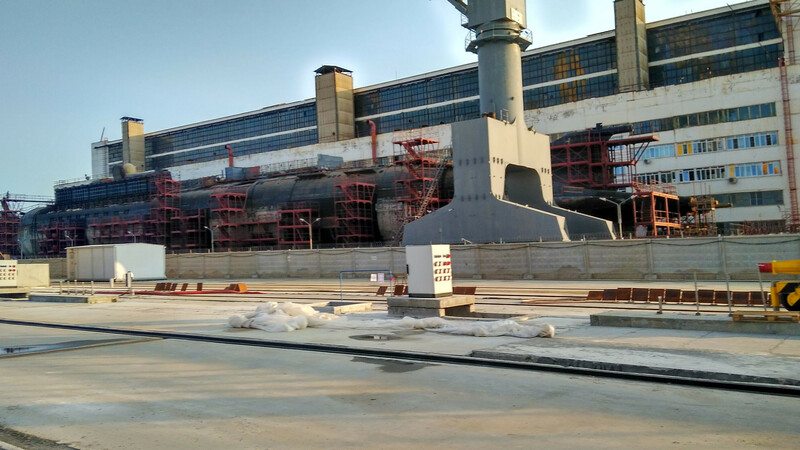 Additionally, the existence of Pr.09852 Belgorod, a modified Pr.949A OSCAR-II SSGN which is also slated to carry the weapon, is beyond doubt. The incredible long range of a nuclear-powered weapon, combined with terms such as ‘drone’, AUV (Autonomous Underwater Vehicle) and ‘autonomous torpedo’ all lend themselves to speculation that it could be employed as an Unmanned underwater Vehicle (UUV) rather than a weapon. Or that it could creep in to enemy ports before detonating, or be used for reconnaissance. This error is reinforced by the fact that visual representations of Poseidon in Russian media frequently use images of the Harpsichord-2P-PM (Клавесин-2Р-ПМ) unmanned underwater vehicle which is much smaller and battery powered. The latest model of Harpsichord is another new development and was shown in the same Russian Ministry of Defense released video which has most likely caused the confusion. 1. Russiam MoD CGI of Harpsichord AUV leaving Belgorod. This appeared in the same video as Poseidon. 2. Harpsichord-2P-PM. 3. Erroneous depiction of Poseidon in Russian state media using Harpsichord model. While there is still uncertainty about its Concept of Operations (CONOPS), there is a strong indication that it is more like a torpedo than a UUV. If it was truly a UUV with unlimited range there would be no need to encase it in a launch tube and load it aboard a massive submarine. It would be far cheaper, quicker and more flexible to simply launch it from a pier. Additionally, the high speed and great depth would not be necessary. And it would logically have a buoyancy system (which the leaked schematic suggests it lacks) and thrusters for low speed maneuvering to perform the missions assigned to UUVs. This report has already been debunked here. In short, it’s the wrong shape, configuration and has the wrong propulsion to be a supercavitating weapon, plus there are doubts regarding depth, navigation and other factors. Supercavitating vehicles encase themselves in a gas bubble to reduce drag, but require rocket propulsion to move forward since he gas bubble negates regular propellers or pump jets -which Poseidon has. We do not know for sure how fast Poseidon is, Initial reports of 100 knots seems too fast, and more recent reports of 70 knots seems more plausible and it still incredibly fast. Combined with its reported operating depth of 1,000 meters this makes it almost untouchable with the current generation of counter-weapons. 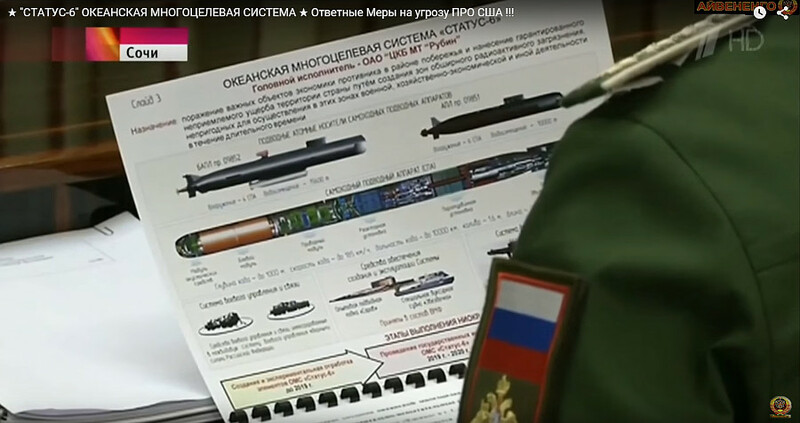 When Poseidon was first revealed in a ‘leak’ in November 2015 analysts were quick to make a comparison to the Soviet-era T-15 nuclear-armed torpedo which would have carried a nuclear warhead in the Tsar-Bomb class of 100 Megatons. At the time of the leak Russian media reported that Poseidon, then known as Status-6, would be armed with a Cobalt-salted bomb of 100 megatons. The articles cite a description by Hungarian-German-American physicist Leo Szilard who was involved in the US nuclear program, and died in 1964. This was speculation, but was widely reported in Western media and even on Covert Shores (although with strong caveats). The Colbalt bomb hypothesis was mixed with the notion of exploding the warhead out to sea to create a tsunami to destroy the target. This is not very practical, and with a nuclear warhead its hardly necessary. More recently Russian media has reported that it was a warhead of just 2 megatons, which although it is 133 times larger than the bomb dropped on Hiroshima, is considered very small in modern nuclear arsenals. 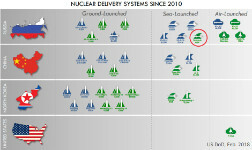 So there remains uncertainty about the size of the warhead, but talk of the 100 megaton salted warhead has decreased. 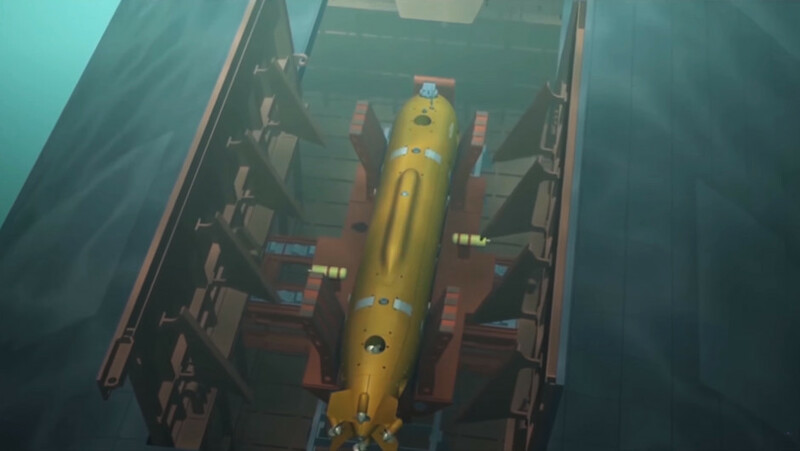 In January of this year Russian state media outlet TASS reported that the Russian Navy plans to place 32 Poseidon strategic nuclear-capable underwater drones on duty. It went on to explain that the fleet would consist of four submarines, each with eight missiles, citing a defense industry source. As well as the Pr.09851 submarine Khabarovsk, it suggests that Pr.949A OSCAR-II Class SSGNs could be modified as carried. One is already slated to carry the weapon, the stretched special mission Pr.09852 Belgorod. But previous information suggested just six Poseidon each for Khabarovsk and Belgorod. Possibly they can carry eight, although it would be a strain since the weapons are bulky and heavy, and need large compensation tanks. Converting additional Pr.949A OSCAR-II boats to carry six or eight Poseidon isn’t beyond question and has been suggested as a possibility by Covert Shores before. It would be quicker than building new submarines. The obvious shortcoming however is that the OSCAR-IIs are getting old and even with the current refits are only likely to have fifteen years of service life left. This gets them to c2040, meaning that construction of the replacement submarines will have to start soon anyway, especially if it’s a significant modification to the lead Pr.09851 Khabrovsk. It seems more likely that Poseidon will be carried by two (or three if Belgorod is not fitted) Pr.09853 Class submarines in addition to Khabrovsk. We know that Project 09853 exists under the same design bureau as Poseidon and the other launch platforms, and its project number is closely connected to the two known Poseidon carriers. But we do not know much more. A best guess is that it is the follow-on to Khabrovsk, possibly with some of the refinements being proven in the Pr.0955A Borei-A, while Khabrovsk stuck to the original Borei Class as its basis to reduce risks.